A boat is designed to be in the water. But, water should definitely not be inside the boat! Sprays of water and bits of residue can cover the boat whether you like it or not. This can lead to expensive maintenance bills later on if it’s not cleaned properly. The constant exposure to water can also start to cause the wood to rot and the metal to rust. Well, it’s easy. Just take a cloth and wipe down the exterior for a few minutes after sailing. It’s also essential to make sure the interior is cleaned on a regular basis. The extra effort now can save thousands of dollars in repairs later on. Over time, the propeller starts to accumulate bits of seaweed and other debris from the water. This increases the resistance, which in turns leads to more fuel consumption. Keeping the boat full of fuel is one of the most expensive parts of being a boat owner. Smart boat owners clean their propeller on a regular basis to keep their boat fuel efficient. Being a boat owner is expensive, but it doesn’t have to break the bank. It’s possible to find ways that can save quite a lot of money over time. Learn how to repair the boat and clean it on a regular basis. Be smart and savvy to cut back on the costs and make the childhood dreams of cruising the oceans a cheaper reality. Childhood dreams of owning a boat and sailing around the world can come true. Imagine the freedom of cruising around the waters and being completely free. It sounds perfect, doesn’t it? But the reality of owning a boat is probably very different to what most people imagine it to be. For a start, there are so many extra costs and payments that we have to make to keep our boat out on the open water, and this can get overwhelming, turning boating into a very expensive hobby. But it’s not all doom and gloom. Smart and frugal people know how to cut the costs and make boating a more affordable pastime. 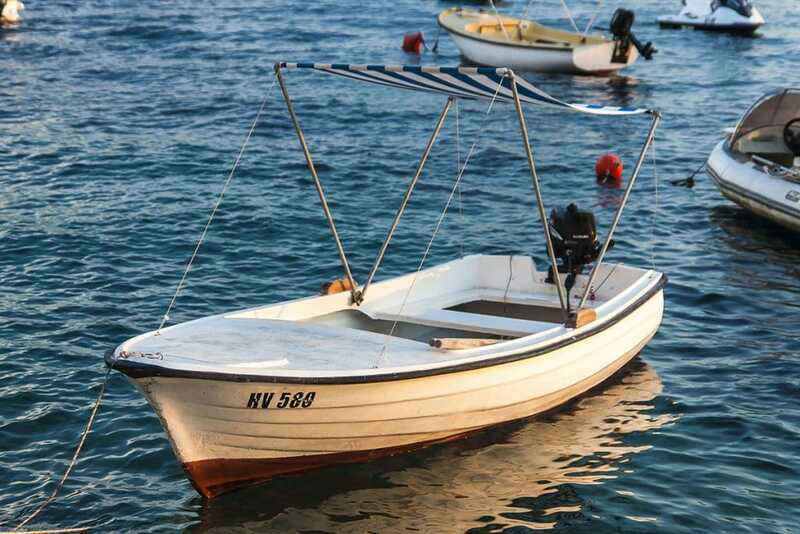 Here are some tips on how to save money as a boat owner. It’s not necessary to hire expensive handymen to come and repair a small tear in the sail. This is something the boat owner can do themselves with some Dacron, patience and a good tutorial on YouTube. The extra money can then go towards paying next year’s mooring fees. Sunlight can damage your sails. High levels of exposure will make them brittle over time, which makes them snap. This is both costly and inconvenient. But a smart boat owner knows how to avoid this, and keeps their sails out of direct sunlight as much as possible. Over the years, people accumulate lots of boat accessories that they don’t really use anymore. They may be in the back of the garage or in a storage unit that generates annual fees. If you don’t use them and probably won’t use them again, why not try to sell them? Savvy boat owners advertise at the marina or use auction sites like eBay. This clears up the clutter and gets a little bit of extra money in your pocket. People have to pay fees to moor their boat, whether they’re using it or not. If someone plans to go away sailing for a few months, they tend to sublet their place to other boat owners. If the boat isn’t in the marina, the fees still need to be paid. A good tip is to ask other boating friends if they know of anyone passing through who’s looking for a place to moor their boat, or simply advertise online. There’s always someone, and you can make them an offer they can’t refuse, to save yourself some cash. Berthing fees are expensive and can cripple boat owners. People need to moor their boat, and don’t have many other options other than exorbitant fees at their local marina. It can almost feel as though it’s out of their control. Luckily, this isn’t strictly true. It may not be possible to avoid berthing fees completely, but a boat owner may be able to negotiate a better price. The marina wants long-term customers who are going to keep paying on a regular basis. Speak to the owner and see if it’s possible to negotiate a better deal.